When a realtor looks to sell a great house, they open it to the public to expose the wonderful promise of hearth and home. 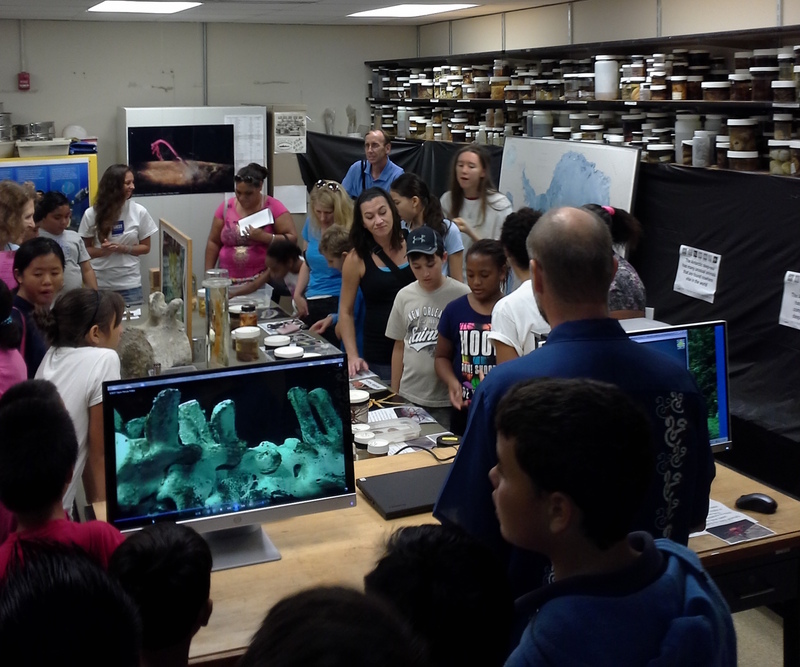 This past weekend the School of Ocean & Earth Science and Technology (SOEST) at the University of Hawaii at Manoa hosted thousands of local residents into our labs on campus, with the hopes of showcasing the promise of science and education. 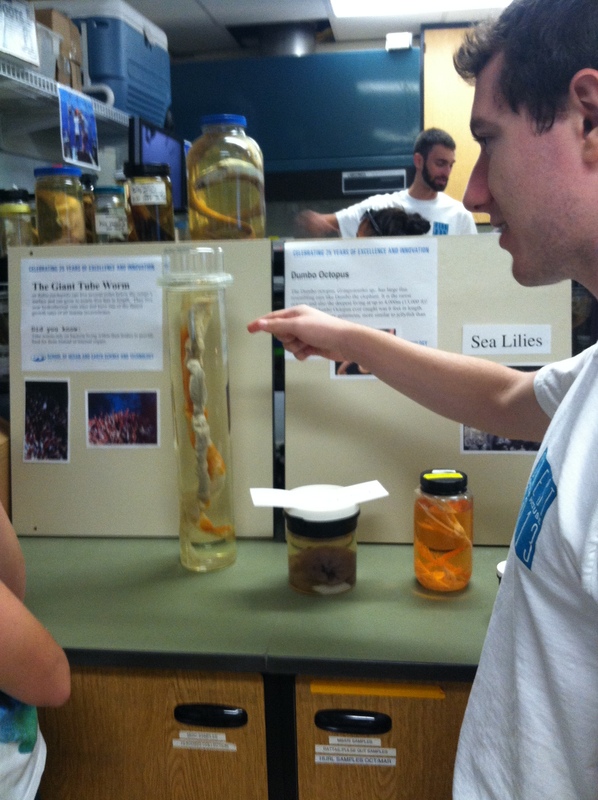 Thousands of students came through our lab to see the wonders of the deep sea. 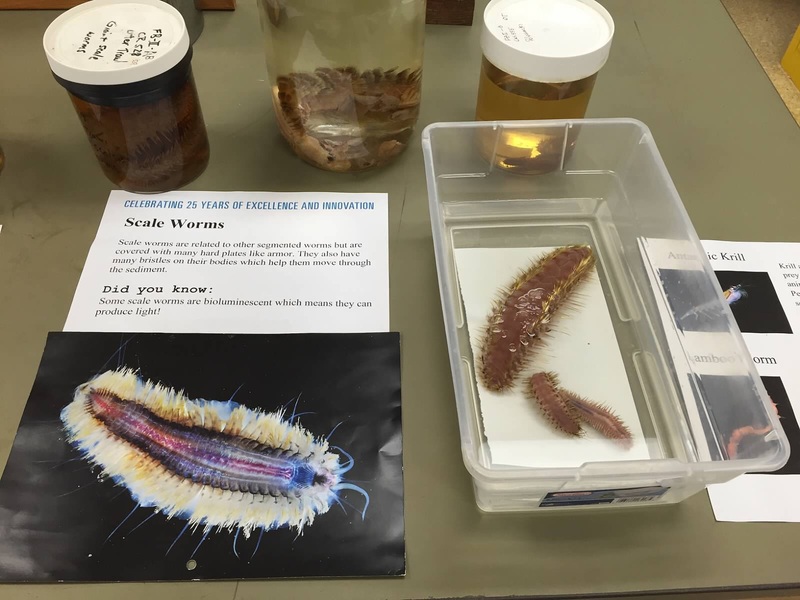 Exhibits on whale and wood-fall communities lay next to the wonders of gigantic polychaete worms and sea spiders from Antarctica. Kids commonly asked if they were still alive and then oohed and ahhed over the grotesquely fabulous deep-sea animals. 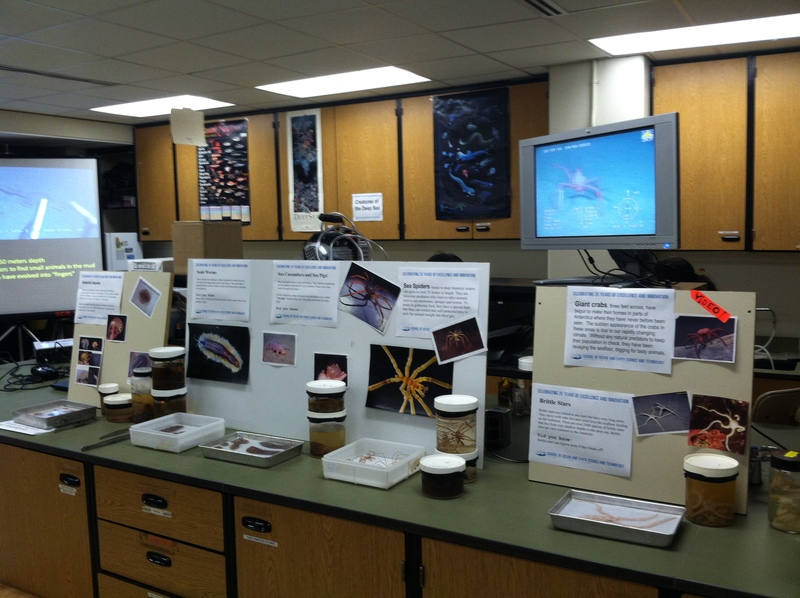 Teachers, students, adults and families all made their way through our deep-sea menagerie during the two-day event. 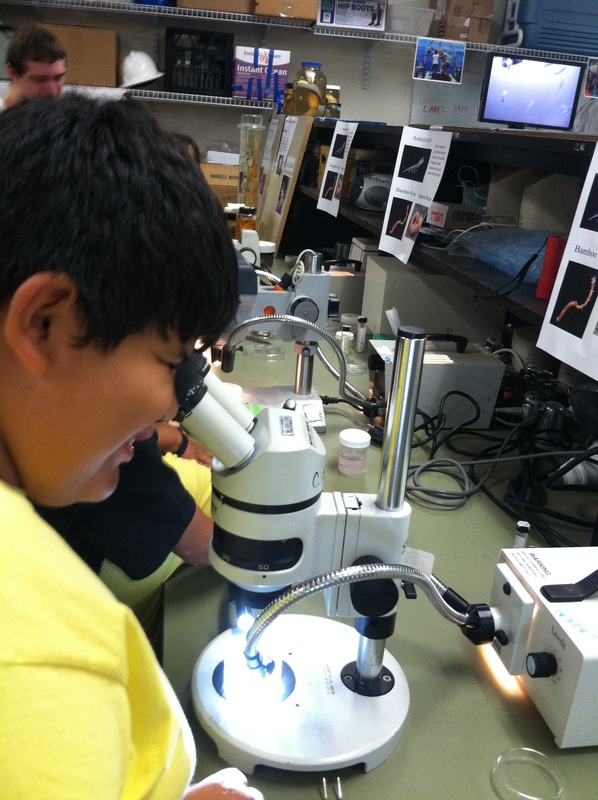 Friday could easily have been described as an onslaught of eager young minds, ready to peer into microscopes, squirm while examining bone-eating worms and guess as to the origin of the large whale vertebrae on display. 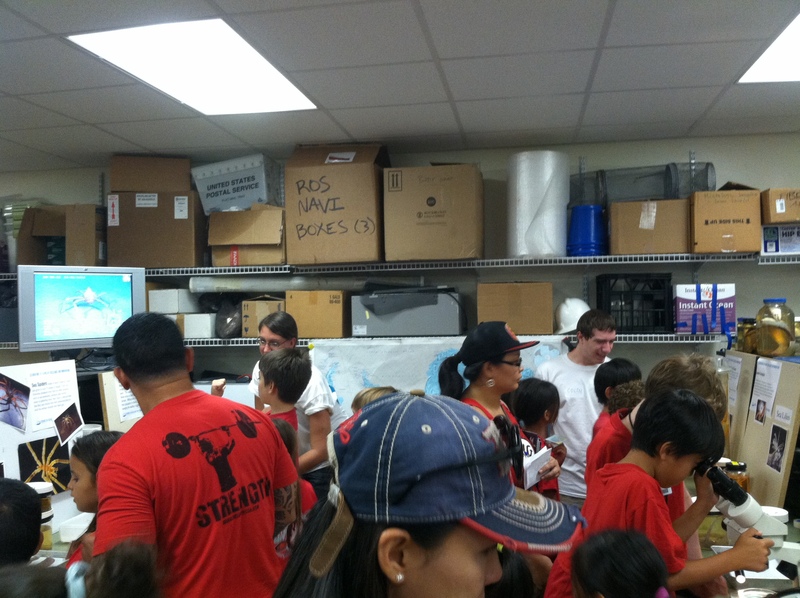 Saturday was a calmer experience with many families and local residents making a casual stroll to the labs. That allowed us to make deeper connections in the community, especially concerning the threat of deep-sea mining in the Clarion-Clipperton Fracture Zone south of Hawai’i. Maybe the sweetest sentiment to the ear of a deep-sea biologist is that someone “never knew these animals could exist.” It is easy for us to become complacent amongst the amazing realm of life that is our milieu. We were able to open the inky blackness of the deep sea to over 5000 people during the SOEST Open House event, and in return, they shared their awe with us. Their amazement of these critters we call specimens surely helped remind us why we picked this profession in the first place. That sense of discovery, the reverence we feel for the tiniest invertebrate to the weirdest seafloor community; those are our gifts from the sea. 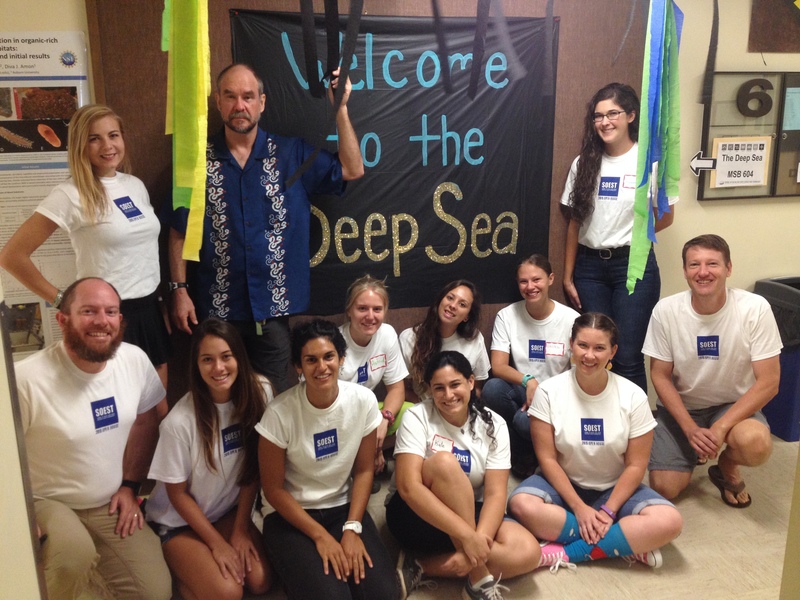 We were proud to give back to the community in Oahu but we were also honored to be reminded how lucky we are to be deep-sea biologists. This could not have been done without the hard work of Craig, Emily, Amanda, Cassie, Diva and myself. On April 18th, Emily Young, Amanda Ziegler and Diva Amon presented a workshop entitled ‘Journey into the Deep’ during ‘Expanding your Horizons’ at the University of Hawai’i at Manoa. ‘Expanding Your Horizons’ is aimed at promoting Science, Technology, Engineering, and Mathematics (STEM) to girls in grades 6 through 8. 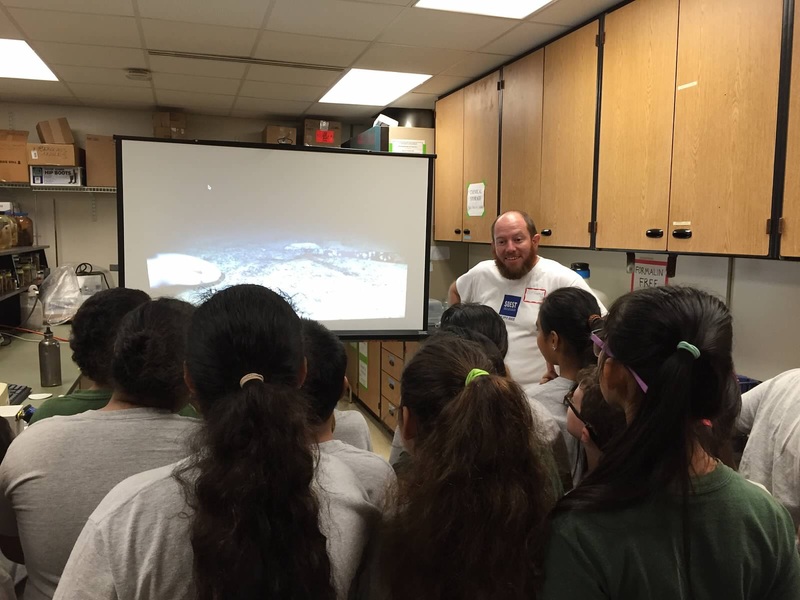 The workshop gave around 30 girls the chance to get hands-on experience with deep-sea animals from the Antarctic shelf, wood falls and whale falls and hydrothermal vents. More about ‘Expanding Your Horizons’ In Hawai’i here. 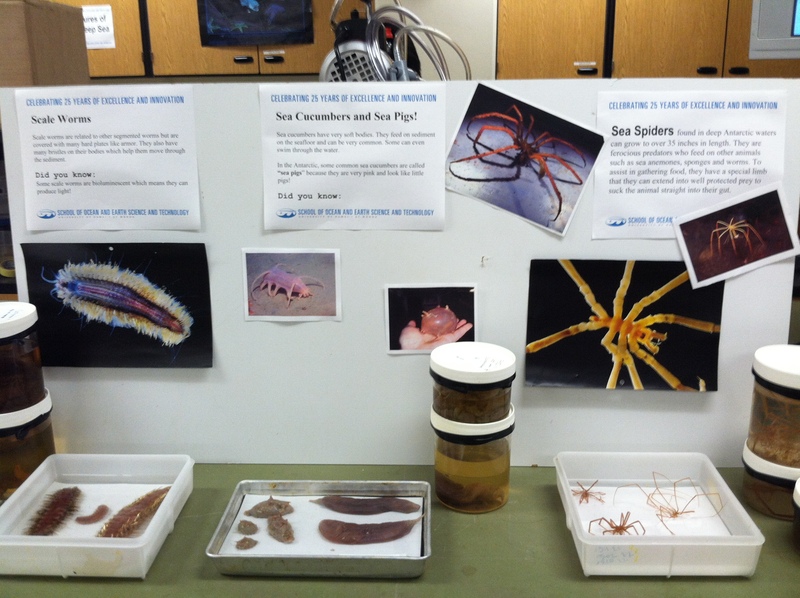 Every two years, the School of Ocean and Earth Science and Technology (SOEST) at the University of Hawai’i holds a two-day open house featuring exhibits from lab groups throughout the college. This event attracts over 5000 children and members of the public. During the event, attendees get to tour lab facilities, learn about groundbreaking research conducted at the university, and participate in hands-on activities teaching them about everything from geology and meteorology to oceanography and engineering. The Smith lab participates in each SOEST open house creating interactive exhibits highlighting the various research currently conducted by the lab and its members. 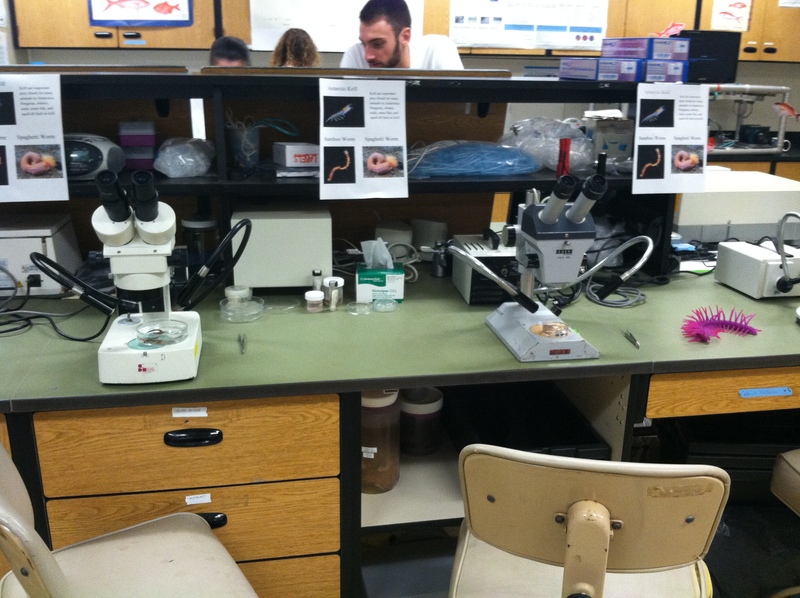 In 2013, Pavica Srsen, Amanda Ziegler and Colin Seifer led an exhibit showcasing bizarre deep-sea megafauna from the Antarctic and using microscopes to explore macrofauna from various deep-sea habitats, many of which the members work with or had collected personally. Thousands of students, parents and other community members visited the exhibit and were excited to see animals they had never heard of before!